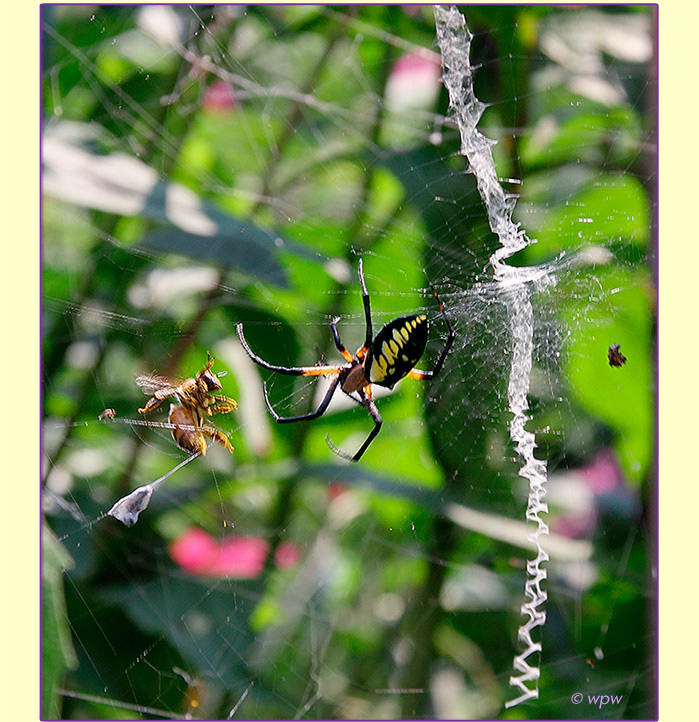 1st, Golden Garden Spider or Corn Spider/Writing Spider (Argiope aurantia). 2nd, Garden Spider (Araneus diadematus). 3rd, the terrible Praying Mantis - are the focus of this image story. show that all 3 seem to have a preference for bees and wasps. but eventually got wrapped and stashed away for future consumption. written stabilimentum might serve to camouflage the spider’s web.